Tenda N150 Wireless Router Price in Pakistan, Karachi, Peshawar. 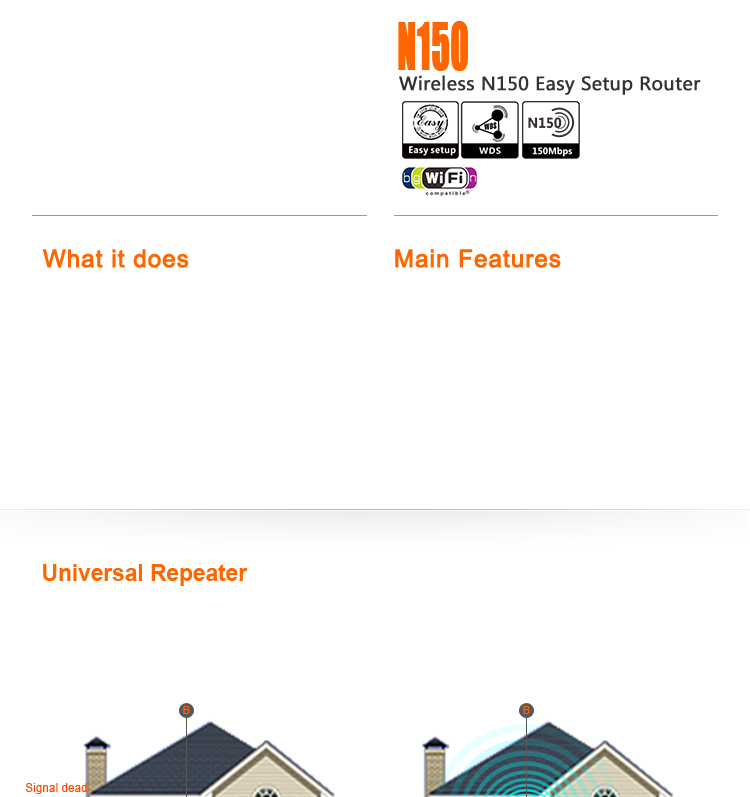 The N150 is designed to setup more easily for the home user. It complies with IEEE802.11n, delivers wireless speeds of up to 150Mbps, making it perfect for everyday web activities like email, chat, streaming videos, online gaming and more. The N150 also supports the latest wireless security features, including 128-bit WEB and WPA/WPA2, to help prevent unauthorized access.with Universal Repeater,the N150 can extend the wireless coverage to all the corn. Easy to Setup With just three easy steps, get your secure wireless network up and running in minutes. 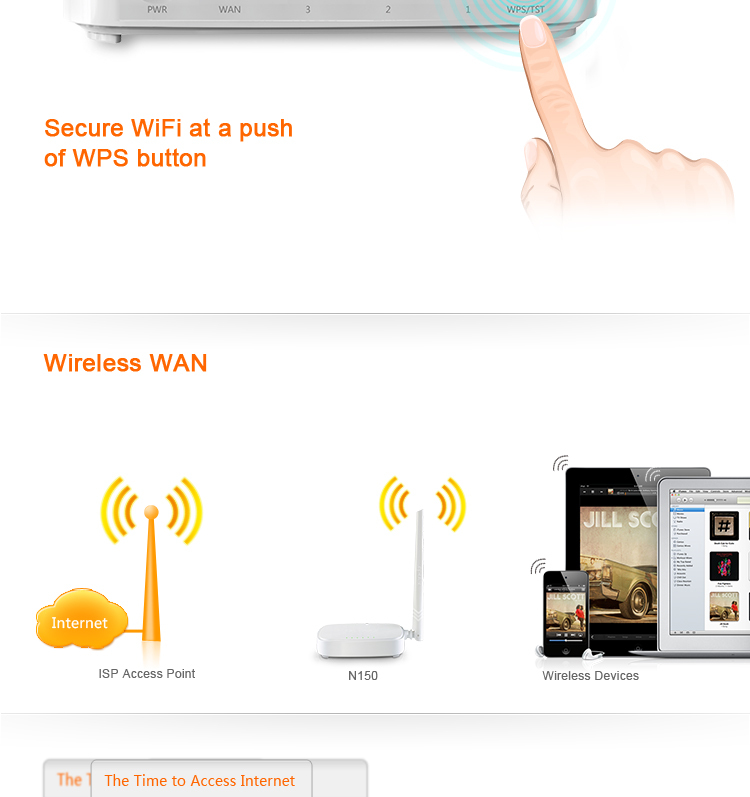 Secure WIFI at a puch of WPS Button Compatible with WI-FI Protected SetupTM (WPS), N150 features WPS that allows users to almost instantly setup their security simply by pressing the "WPS" button automatically establishing a secure connection. Not only is this faster than normal security setups but more convenient in that you don't need to remember a password. Wireless WAN N150 can work as client mode to connect to ISP network or uplink AP wirelessly to share the Internet to every corner,elimating the dead point. 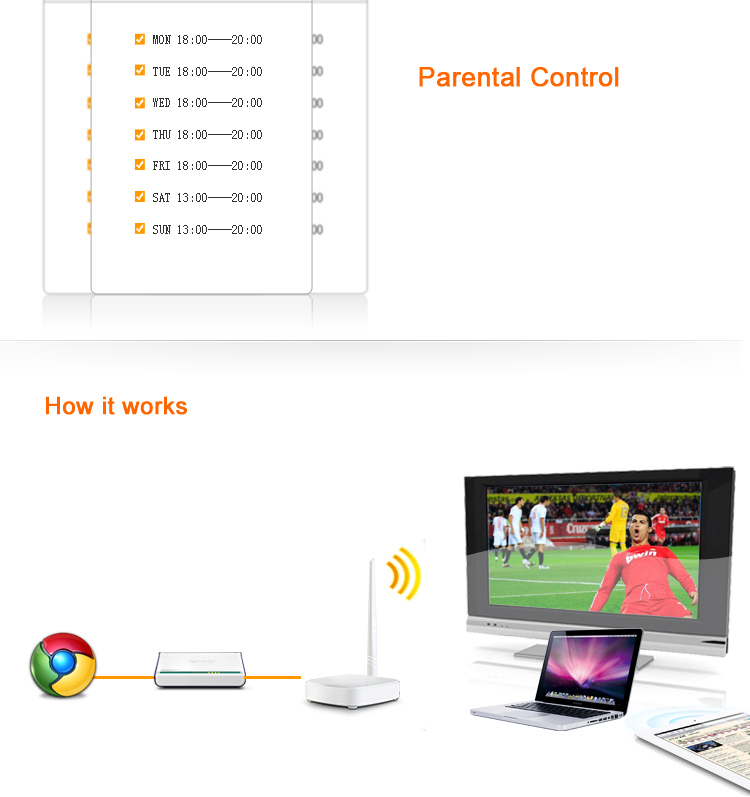 Parental Control Support Client Filter、Mac Filter、Websites Filter function, you can define parental controls such as time of using, ability to block domains. How to make To make wireless magic, start with Internet service and a modem then connect a Tenda router. The router broadcasts a wireless signal that lets you easily connect your devices and smart appliances. 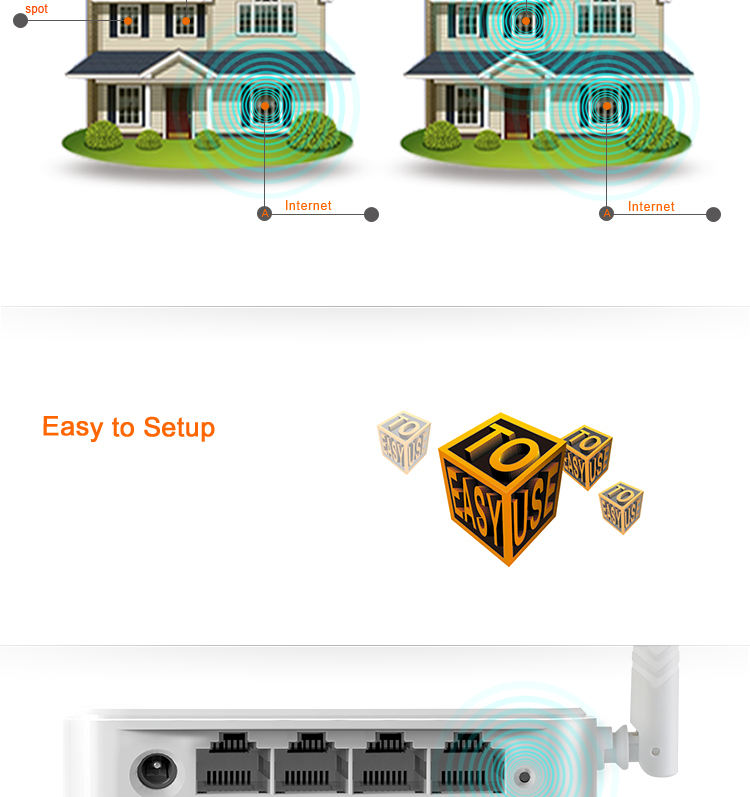 Click the button below to add the Tenda N150 Wireless Router to your wish list.